Today, the 19th of January, marks the anniversaries of the births of two remarkable American men. But — c’mon now — this is The Legal Genealogist here. So you have to have a clue as to why I might be interested in such a disparate pair, right? It’s because each of them was a central figure in a really interesting federal court case. Poe’s is the more routine of the two — but even though it’s a fairly common type of case, it has its twists. He filed a complete list of everything he owed as Schedule A, including such things as $50 to each of two doctors for medical care, and $5 to a woman named Ann Hughes for rent. The Lees did not enjoy the ownership for long. And long before the war had ended, the United States government had taken legal action to strip them of their ownership. Two very different men, two very different cases, brought together by two very similar facts: a day of birth… and a date with a federal court. 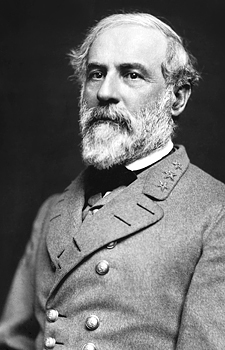 Images: Julian Vannerson, Portrait of Gen. Robert E. Lee, officer of the Confederate Army, March 1864, Library of Congress, Prints & Photographs Division. W.S. 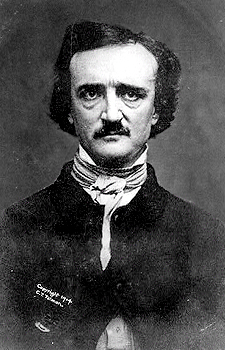 Hartshorn, daguerrotype of Edgar Allan Poe, 1848, Library of Congress, Prints & Photographs Division. History has so many great stories. Even though we have read about this or that particular person, very seldom do we compare their lives by same birthdays. Thanks for this one. I love your stuff! Where’ve you been all my life????????? ?